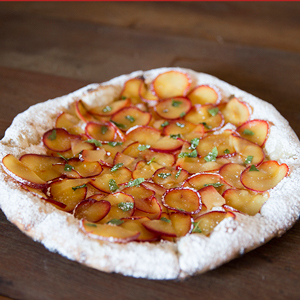 Welcome to THE PRIVATEER COAL FIRE PIZZA - NAMED SAN DIEGO's TOP 25 BEST. Whether you sit outside and chill out on our new patio or relax inside, you'll be glad you came -- we offer the best of South Oceanside's blue collar gourmet dining experiences. 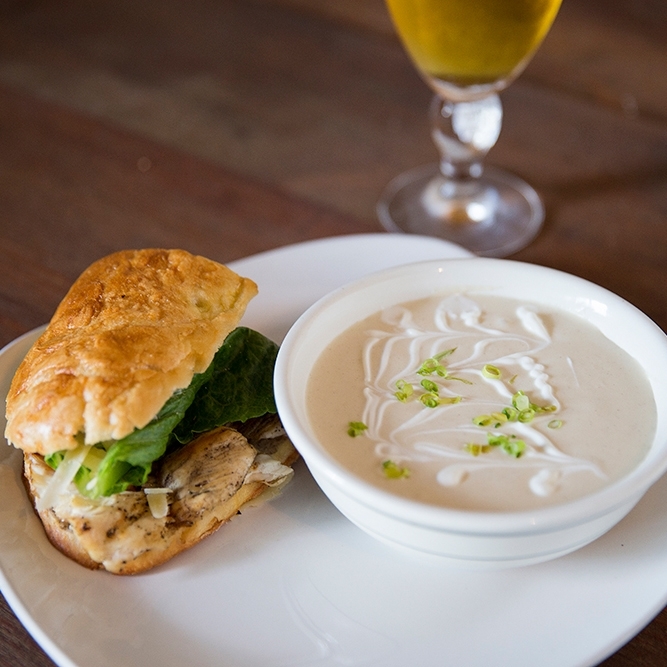 We are also open for lunch (Tues- Sun; 11:30 am to 4 pm). Book your holiday party with us — 760-453-2500. We are the one and only gourmet pizza restaurant in Southern California with a coal-fired oven using 100% coal fire, no gas. Our oven is 7 feet in diameter and weighs 6,500 pounds. As a matter of fact, we built the entire restaurant around our oven! So what’s the big deal with coal fire you ask? Coal fire is the secret to our recipes. 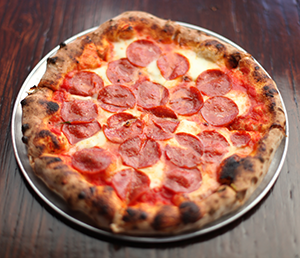 At a temperature of 850-to-900°F, the oven cooks our delicious Neapolitan-style pizzas in three to four minutes. This leaves the pizza crust thin and crisp on the outside, allowing the inside of the pizza to be elastic so all that chewy goodness melts in your mouth. Our oven takes 2 hrs. to heat up every morning. We then add dried oak to stoke the fire, along with 100% Pennsylvania coal that creates the magic. Here at the Privateer we take fresh ingredients very seriously. 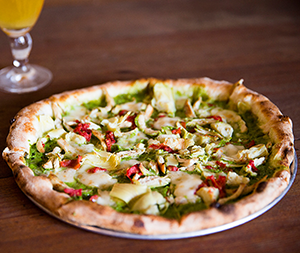 From a clam chowder-inspired pizza known as The Captain Fin all the way to a Brussels Sprouts Pie, our fresh seasonal ingredients add to an amazing culinary experience you won't forget. Not to mention our uniquely creative and tasty appetizers and specialty dishes inspired by our culinary wizards. The Privateer takes great care and pride in the natural ingredients we add into all of our recipes. We utilize organic greens, spices, veggies and herbs grown in our local neighborhood at Cyclops Farms - by local farmer Luke Girling (pictured above). Less than a mile from our restaurant, we drive by Cyclops Farms every day as we watch our produce grow. Experience why we are different from other pizza restaurants here in San Diego. LOCATED IN S. OCEANSIDE, CALIFORNIA, THE PRIVATEER COAL FIRE PIZZA IS A PURVEYOR OF AMERICAN DINING FROM THE CREATIVE MINDS OF American Blue Collar Gourmet..
We are not your ordinary, cookie-cutter pizza restaurant. We create an imaginative menu of delicious lunch and dinner items in a relaxed, organic dining setting nobody else has in San Diego. And that's a direct reflection of three South Oceanside locals living their dream of opening a seaside restaurant and doing it their way. Meet the brains and inspiration behind the Privateer Coal Fire Pizza. Read their stories and you'll soon figure out how unique the Privateer is. I grew up surfing and working at restaurants in Oceanside and eventually took on a life in the action sports industry helping start Dragon Optical and eventually working for TransWorld Media for the last 17 years. During that time, my wife and I started a small coffee cart business at Buccaneer Beach and a second location at the Captain's Helm. Eventually, we bought The Buccaneer Café, which was our first break into the restaurant business. My childhood best friend, Jamey and I had always dreamed of opening our own restaurant in South Oceanside. Fortunately, it's worked out and has blossomed beyond my wildest dreams. This has become... The Privateer Coal Fire Pizza! Growing up in Oceanside, I developed my surf skills as an aspiring pro surfer, which is where the restaurant culture came into my life. While I started as a bus boy at a local restaurant, the owner Jay took me under his wing where I spent 3 years of my life immersed in the restaurant culture thanks to Jay. From that point on, I knew that I wanted to start a place of my own some day. Charlie, my childhood best friend from the Buccaneer crew, worked in the action sports media industry along with me for 11 years. He shared the same outlook as I did and we would often think about starting our own restaurant together. Fast-forward to 2013, and the dream has become a reality! Charlie and I hooked up and The Privateer was born..